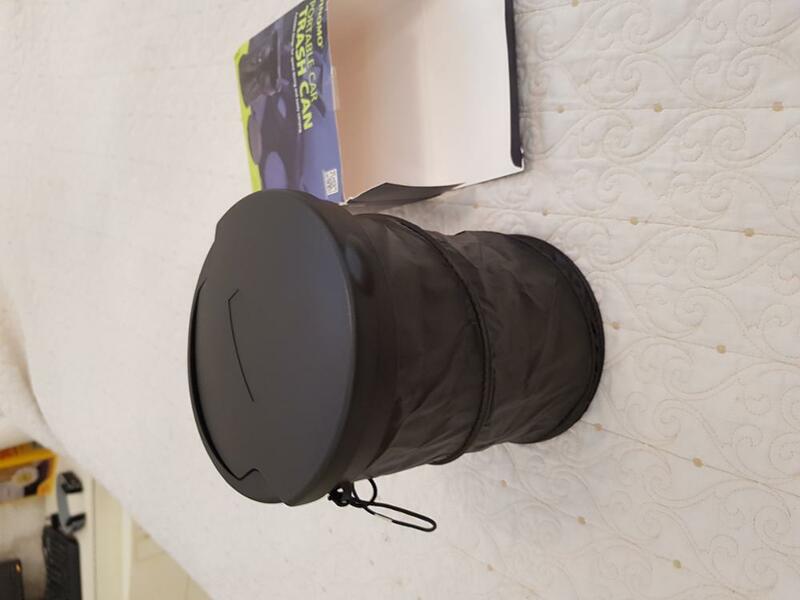 Made of premium PP and waterproof nylon cloth, this car trash can provides maximum strength, durability, and longevity. It features a collapsible body for space saving and convenient carrying. 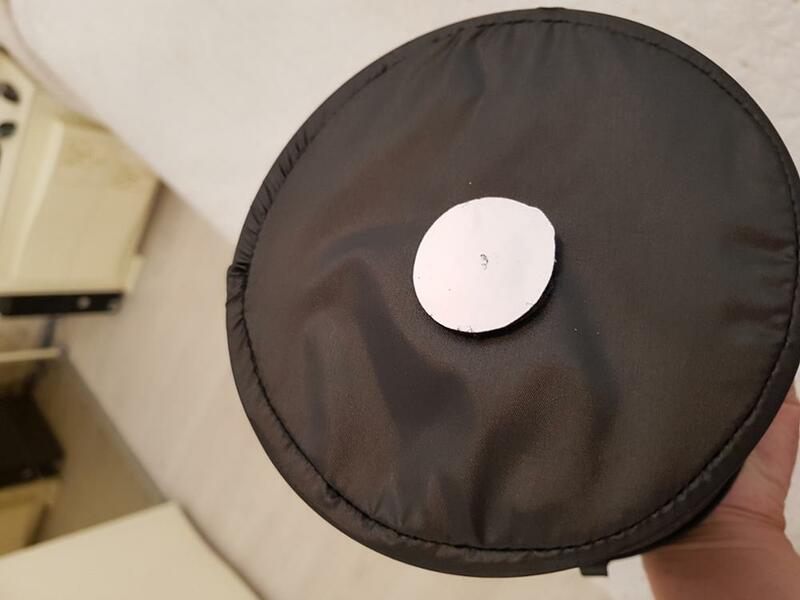 With a lid designed, it will keep all the things in place while driving. It is convenient to use when you need to throw rubbish on a trip. Perfect to keep your vehicle clean and organized. - Material: PP and nylon. - Size: Approx. 20 x 14.7 x 14.7cm/ 7.9 x 5.8 x 5.8 inch (LxWxH). - Folded height: 4cm/ 1.57 inch. 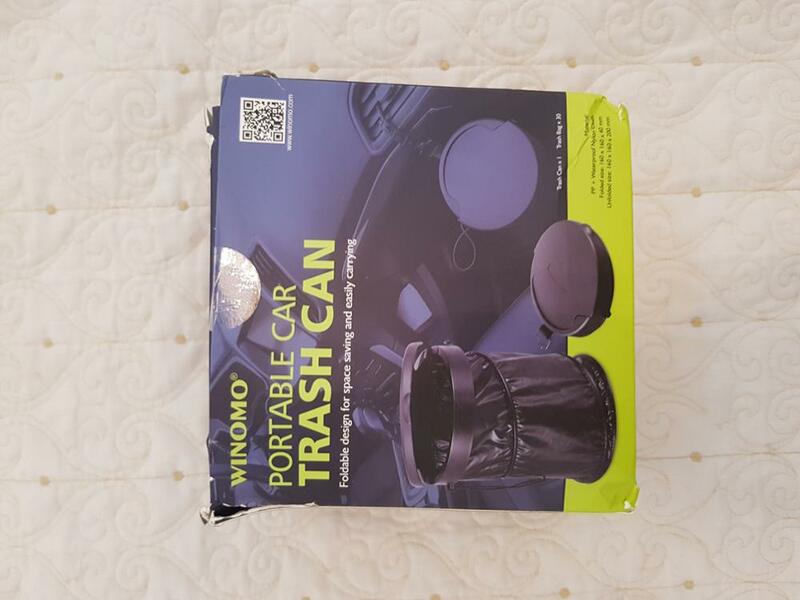 - Light weight and large capacity, provides the maximum convinience when you need to throw rubbish while driving on a trip. 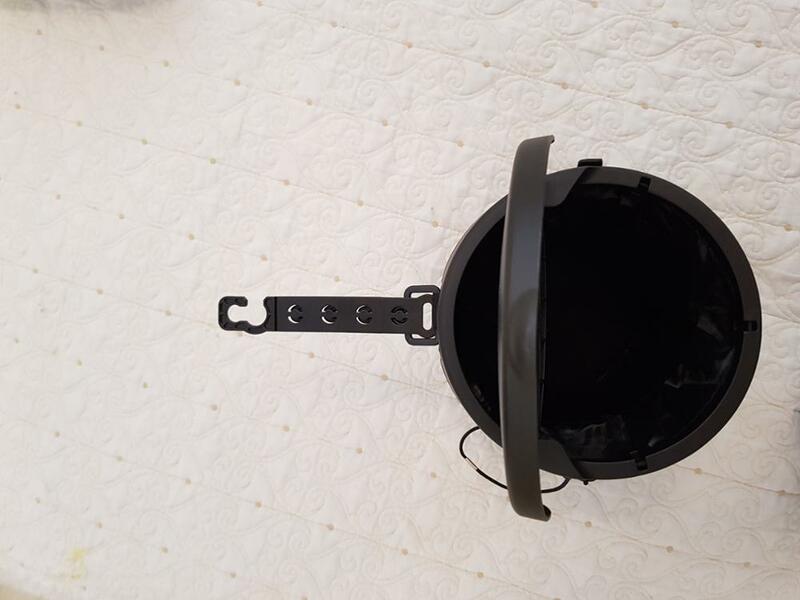 - The hook with buckle offers adjustable height when hanging this trash can in your car. - Foldable design for space saving and easy carrying. - With a lid covering, keep the inner items in place and create a tidy and organized environment for your car. - With a hook and loop fastener on the bottom, can be hung or placed anywhere. - Made of high-quality PP and waterproof nylon cloth, great for practical and long-term use. халяве finally received the goods. халяве finally received the goods. shipping was very long, but it is not wine supplier. product details. разочаровал goods, it is more ergonomic in the descriptions. with pictures can see, eaves debris unfoldment that happens the touch of a finger (вранье), need to try it very open.